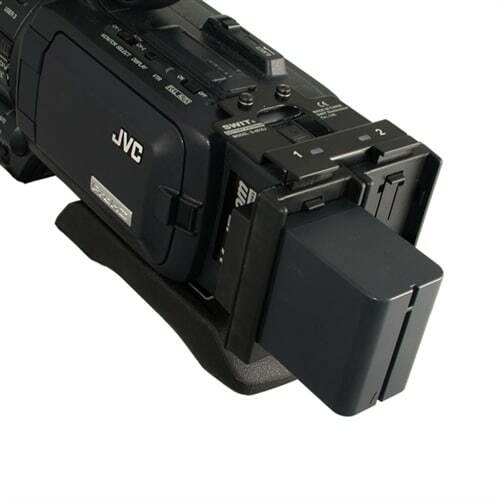 This device mounts securely into the battery compartment of your JVC HD100 camcorder. 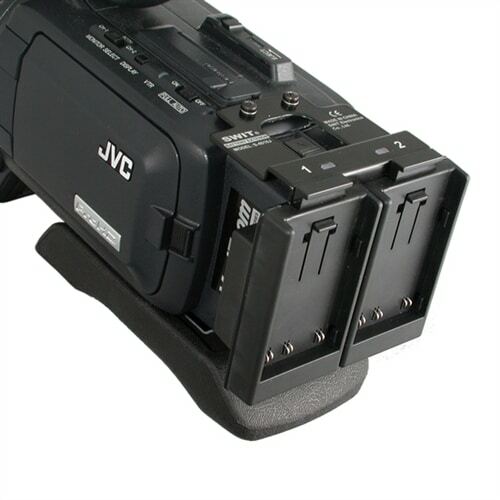 Utilizing the power of two MiniDV batteries extends the operating time of your camera. S4010J Dual Battery system extends the operating time of your camera. battery in use is low on power.